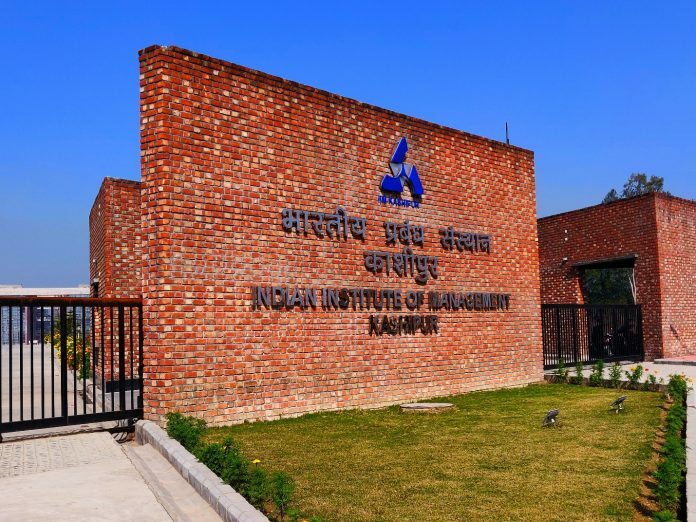 Kashipur: Indian Institute of Management Kashipur has completed its 2018-19 final placement process. The institute registered 100 percent placements for the 8th consecutive year. Students were placed across sectors such as BFSI, FMCG, Healthcare, Advertising, Technology, Manufacturing, Operations, E-Commerce, Retail, etc. A total of 72 companies participated in the process offering 215 positions to 196 students who applied for placements through the institute. The highest compensation offered was 28 LPA INR. The average salary for the season was 12.24 LPA INR with the top 10 percentile students getting an average salary of 24 LPA INR. ‘’It gives me immense pleasure to announce that IIM Kashipur has achieved its 100% placement for 2017-19 batch. We are thankful to all the recruiter for being a partner in progress of the Institute’’ says Dr. K N Badhani, Director, IIM Kashipur. BFSI sector continued to be the dominant player in recruitment with renowned firms like ICICI Bank, RBL Bank, TATA Capital, HDFC Bank, Muthoot Group, Yes Bank, Capital Trust, Swadhaar Finserve, Aditya Birla Sun Life Insurance, etc., offering lucrative positions to students across domains such as marketing, finance, retail, operations and HR. The institute also saw a large number of roles in the Consultation and Analytics field offered by organizations like Deloitte, KPMG, E&Y, MAQ Software, Futures First, eClerx, etc. Major brands like Godrej and Boyce, RECL, Aditya Birla Capital, Reliance Jio, Coffee Day Beverages, MAQ Software, JSPL, Tata Motors, OfBusiness, OYO, BYJU’s, etc., also participated in the recruitment process offering students roles across multiple domains. 37 first time recruiters including prominent organizations like Aditya Birla Capital, Coffee Day Beverages, JSPL, OfBusiness, Godrej & Boyce, 4TiGO, etc., participated in this year’s placement season. “The institute has recorded a significant percent increase in placement statistics both in terms of package and diversity. The placement scene is the testimony of the belief that recruiters have on the students of the institute.” says Dr. Kunal Ganguly, Chairperson (Placements), IIM Kashipur. Established in 2011, IIM Kashipur is the first IIM outside the metropolitan cities. In a short span of eight years, IIM Kashipur has emerged as a leading management institute. It is placed at 20th position among management institutions under the National Institutional Ranking Framework 2018 by Ministry of Human Resource Development, Government of India. 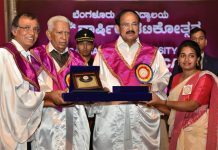 It was also featured as top 20 entrepreneurial Business School by Entrepreneur India. IIM Kashipur handles different projects such global practices in continuing legal education, MGNREGA etc. 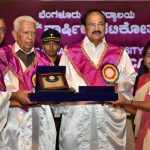 It has also established a Design and Innovation Centre by MHRD and agribusiness incubator by Ministry of Agriculture and Farmers’ Welfare. IIM Kashipur has also introduced Online Certificate Programmes in association with Talentedge, Safexpress, Safe Educate and Nulearn. IIM Kashipur has international linkage with ALBA, Greece; Aalborg, Denmark; AIT, Bangkok; ESDES Lyon Business School, France and FPT School of Business, Vietnam. 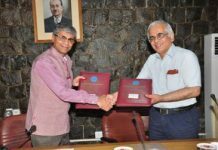 It has recently inked MOUs with Coller School of Management, Tel Aviv, ICPE, Slovenia and Woosong University, University of Salford.